In the lead up to Christmas 2018, Mkt. engaged with popular Melbourne influencers, Rozalia Russian, Lisa Hamilton and Rebecca Harding, to raise awareness of Peninsula Hot Spring’s extensive list of gift giving opportunities. In collaboration with Peninsula Hot Springs and LMB Management, Mkt. worked to organise a relaxing girl’s day out, providing the trio with a peaceful and revitalising experience ahead of the busy Christmas festivities. With a range of treatments and experiences available – from massages and facials, to breakfast and bath house bathing for two – Peninsula Hot Springs offered Victorian’s the opportunity to give a moment of relaxation to their loved ones for Christmas. 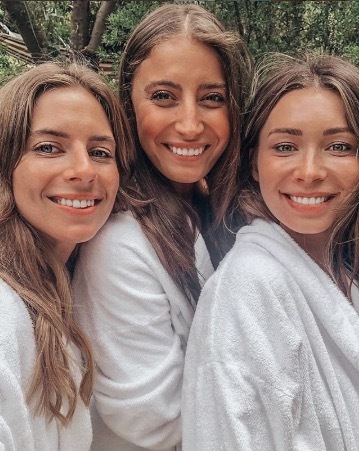 Inspiration was drawn from the influencer’s social channels where they shared images and videos of their massage, bathe and Spa Dreaming Centre dining experience, generating four Instagram posts, 20 Instagram stories and a reach of over 363,302 people. To organise your own day trip or purchase a gift card, visit the Peninsula Hot Springs website here.